This entry was posted in News and tagged Voice Over Agency, YouTube. Bookmark the permalink. We’re updating our YouTube channel over the next few weeks. YouTube is not only the worlds biggest video platform, it’s also the world’s biggest search engine. 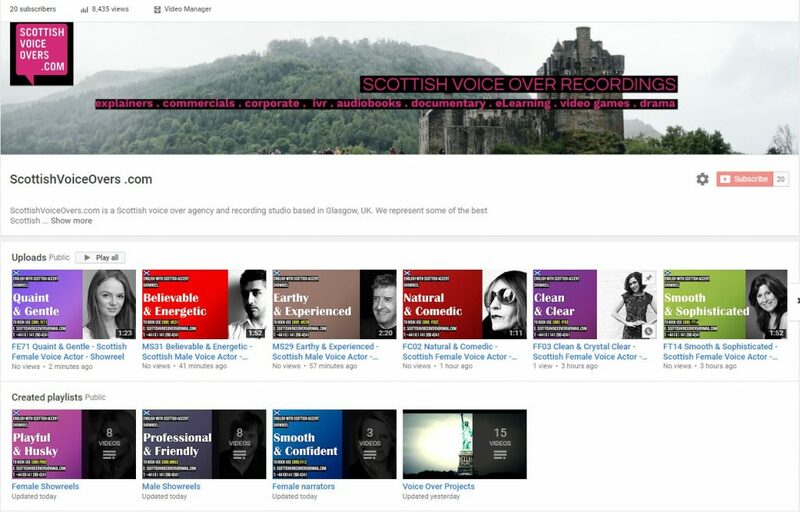 We’re putting all our best voice over showreels on YouTube to make it easier than ever to discover great Scottish voice talent! A new generation of content creators search YouTube first and we need to ensure we’re reaching this audience. Keep an eye on the channel for updates! We’d welcome subscribers and any constructive criticism.